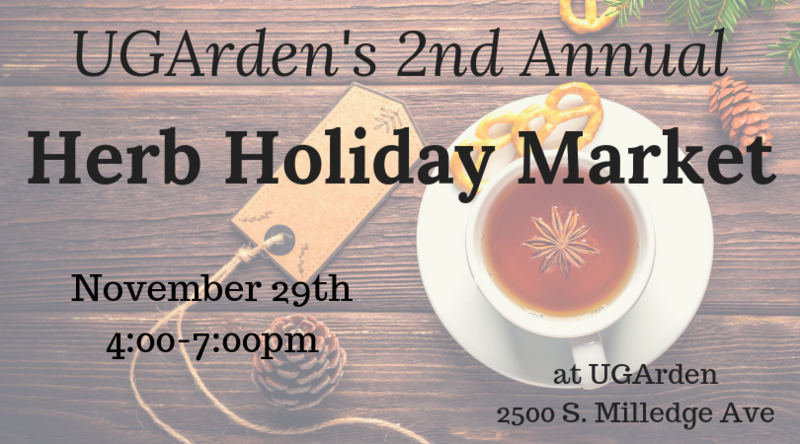 UPDATE: Come on out to our 2nd Annual Herb Holiday Market at UGArden! Find out more by going to our Facebook event. 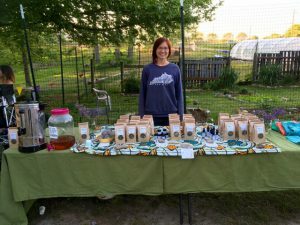 A small medicinal garden was founded back in 2012 by Maisie Loo, Master Gardener, who found her niche teaching students and community members about the process of turning fresh herbs into medicinal teas. Masie has since retired to work on her own garden. 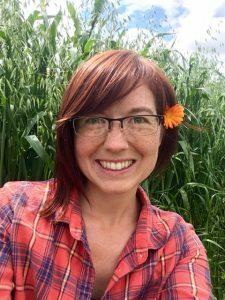 The UGArden Herb Program is now managed by Noelle Fuller, a UGA Double Dawg, who did her masters research on holy basil, a primary ingredient in many of our teas. Since its inception, the herb garden as more than tripled in size, with a list of over 50 different herbs grown each season. Some of the common herbs found in our teas are now grown in the greenhouse year-round, when space is available. 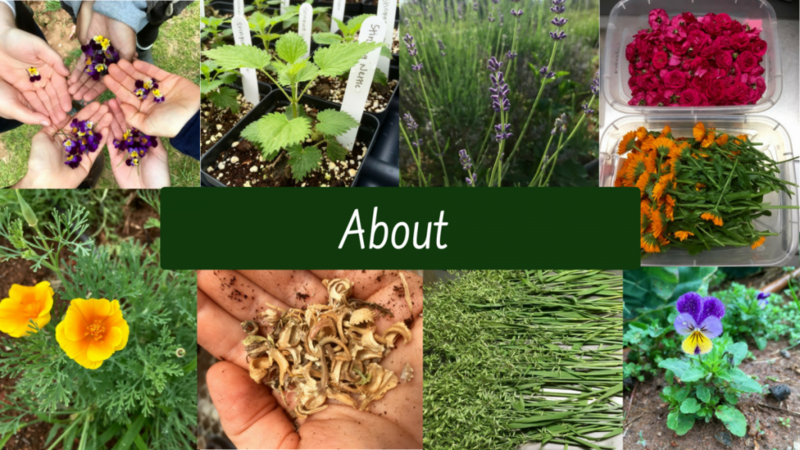 Over the years, through study and observation, we have learned each herb has unique needs from sowing to harvest to processing. For example, stinging nettle grows best under a little bit of shade cloth and chamomile likes a little nip of spring frost after it has been planted. 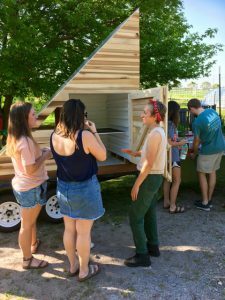 These tips and tricks are one the many reasons that students and members in the community flock to the medicinal garden to volunteer and learn about medicinal herbs. The herbs are grown using organic practices and without the use of any pesticides. Once harvested, they are air dried, processed, and eventually mixed together to form many tea blends for many uses such as helping people recover more quickly from colds or helping with stress reduction. Besides the health benefits, everyone loves how fresh and vibrant the tea tastes! Recently, we have been branching out and experimenting with other herbal preparations such as herbal infused oils, and soaps. 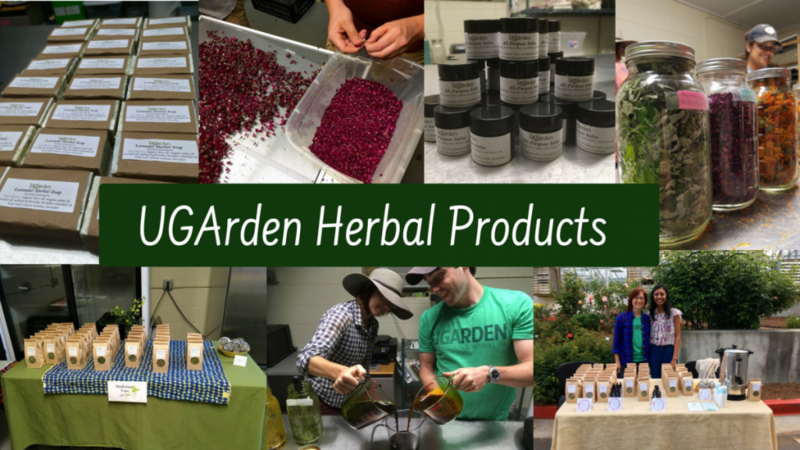 The medicinal garden at UGArden is a wonderful place to learn and grow. Keep reading to see all the products we make, and ways that you can get involved! You can find our teas for sale at the State Botanical Garden Gift Shop, the UGA Market at Tate, and Community. We also hold several open house events at UGArden to introduce new teas and give our fans a chance to purchase teas directly at the farm. Our teas are reasonably priced and make excellent gifts for those wanting to share a taste of Athens and support our efforts at UGArden. 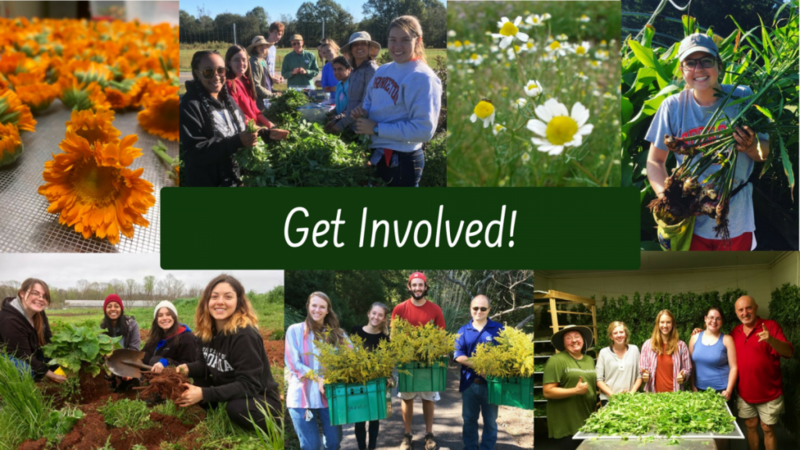 If you are interested in being a part of the UGArden Medicinal Herb Program that are many ways to get involved. You can volunteer for one of our work events in the herb garden. Check out our volunteer page to find opportunities. 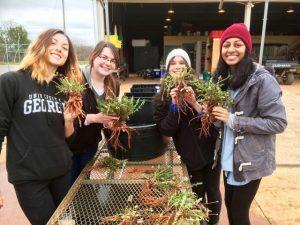 Don’t worry if you aren’t a student, we take all sorts of volunteers, including a lot of master gardeners and people who are retired that are interested in helping out in the community. 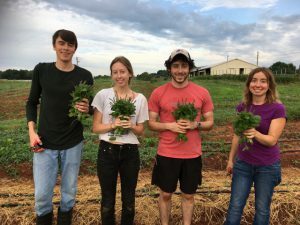 If you are a UGA student, you can sign up for an herb internship for class credit. You will learn all aspects of the herb program. Especially growing, harvesting and drying a large variety of medicinal herbs! Most hours are worked on Tuesday and Thursday mornings. Email njfuller@uga.edu to learn more about the internship. Or, you can attend an event at UGArden. 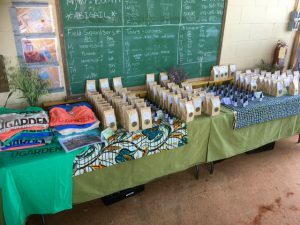 It is a great way to meet like-minded people in the community, visit the farm, and taste our medicinal teas! Follow us on Facebook and we will create events and post updates as the dates get closer.